Before Samsung made the Galaxy M10 and the Galaxy M20 public, there were also talks about a third device from the company - the Galaxy M30. Samsung has, to this day, remained mum over the existence of the Galaxy M30 neither acknowledging or denying the existence of this device. 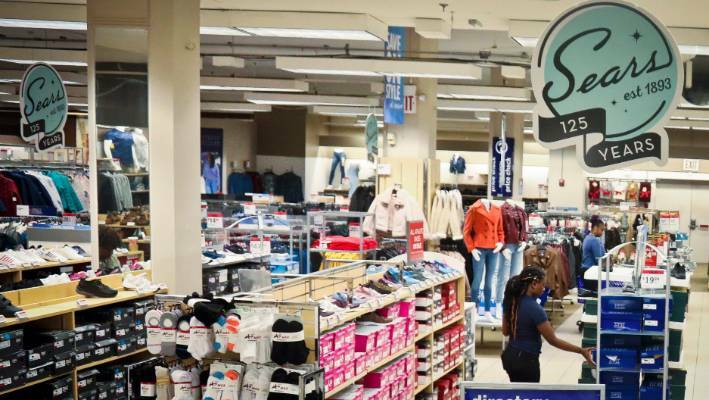 Late last month, Samsung created a major flutter in the affordable smartphones segment when the company announced its new M-Series devices in India. Additionally, the smartphone has a rear-facing fingerprint sensor, which again resembles the Galaxy M20. The render does re-affirm that, just like the Galaxy M10 and the Galaxy M20, the Galaxy M30 will have a plastic unibody design, which is a bit disappointing. Theres a fingerprint scanner on the back like the M20, but the clearest difference between the M20 and the M30 is one additional camera. From the listing, the Galaxy M20 for Malaysia will support dual-SIM but unfortunately, like the ZenFone Max Pro M2, it doesn't support 802.11ac 5GHz WiFi. Ports include a USB Type-C port, Bluetooth, 4G with VoLTE and much more, with no headphone jack. 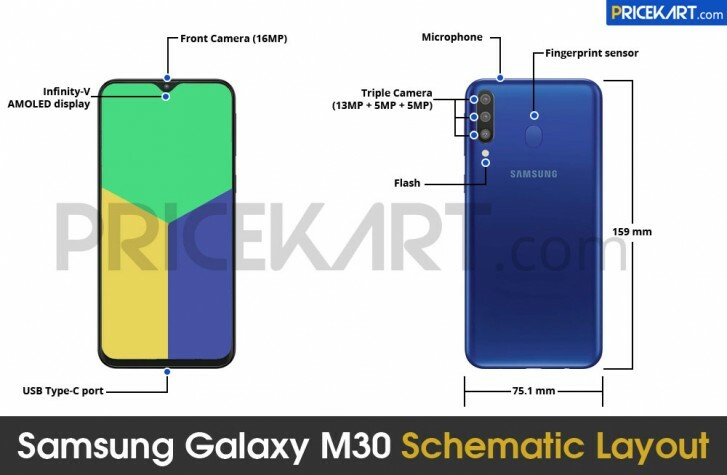 We already guessed it when the Samsung Exynos 7904 came out, but Pricekart have uncovered a leak of the Samsung Galaxy M30 seemingly confirming a 13MP+5MP (wide-angle)+5MP (depth sensor) triple rear camera setup to go with a 16MP front camera embedded in the 6.38-inch FHD+ Infinity-V display. In terms of memory, the report claims we could see up to 128GB of internal storage and 6GB of RAM. The device will be fueled by a 5000 mAh battery with support for fast charging via the type-C port.